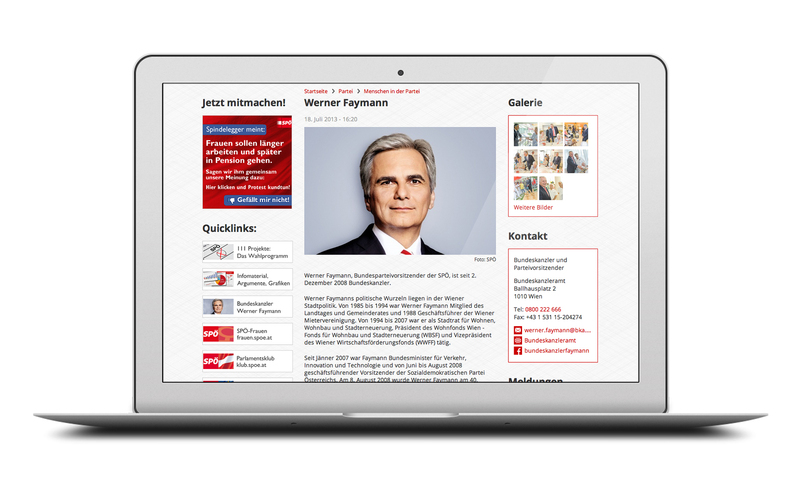 The federal organisation of the Social Democratic Party of Austria needed a portal that will act as a gateway to its wide range of websites, from campaign pages to regional party websites. 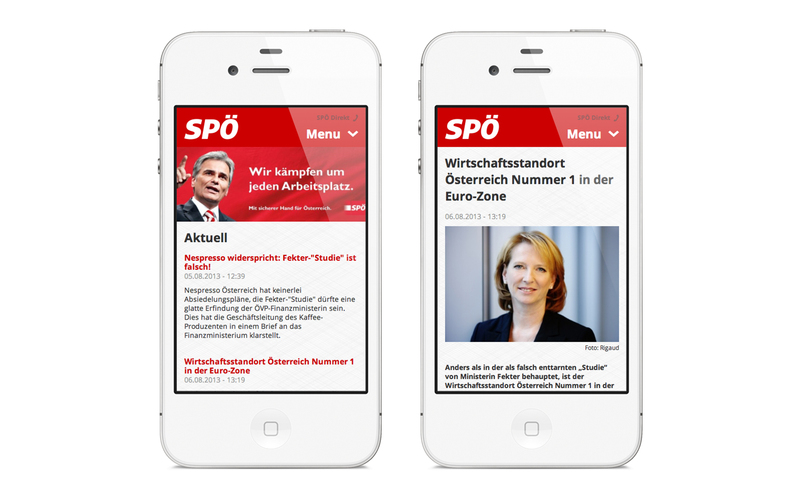 With 2013 being a campaign year, the page aims to achieve as a first impression an emotional connection with the visitor through the bold use of colours, the large-format images and the open, comfortable layout. 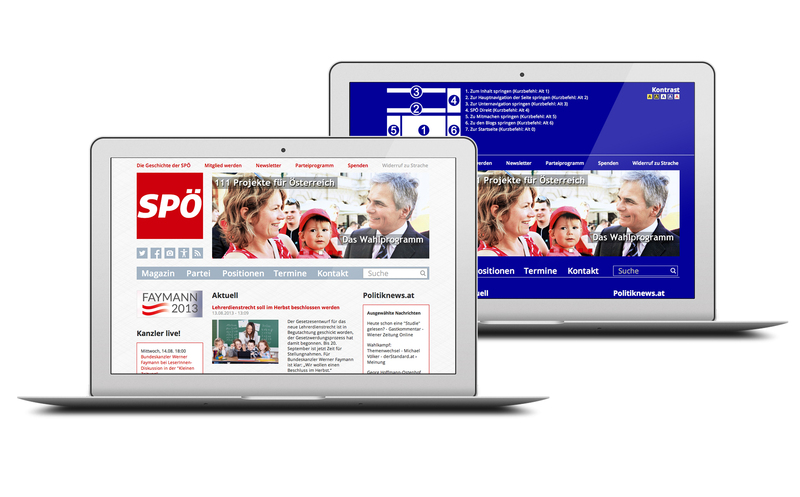 Long-term and most importantly, the portal aims to provide a user-friendly experience to those looking for information on the SPOe program points, its news and the people and organisations on the regional and local level. The website was created on the open source platform Drupal and is also accessible for people with sight disabilities.